You can put spices in a scramble or fry an egg in bacon fat, so why poach eggs in just plain water? Water doesn't add any flavor whatsoever, so you're wasting a valuable opportunity to give your poached eggs more oomph—an extra important step if you're not frying your poached eggs afterward. So the next time you plan on poached eggs for breakfast, try substituting water for any of these more savory liquids. 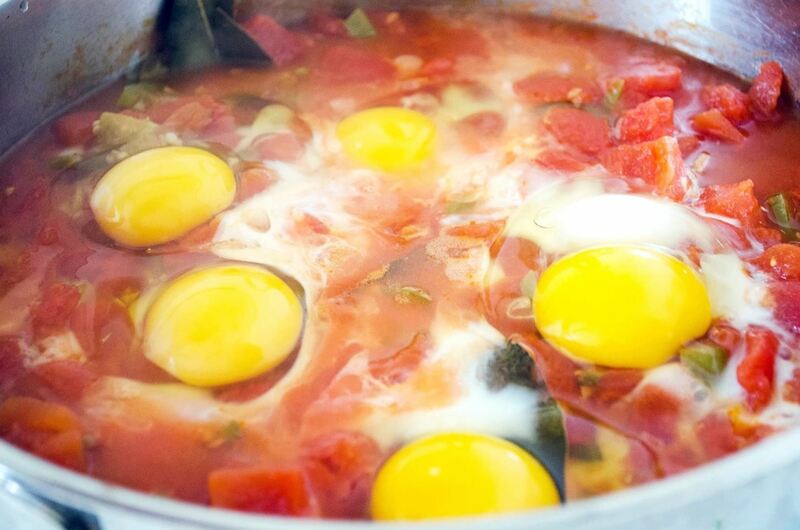 Tomato sauce poached eggs are known as shakshuka, a gorgeous North African dish that is the perfect mix of tangy and spicy. It's a real showstopper at any meal, noon or night. 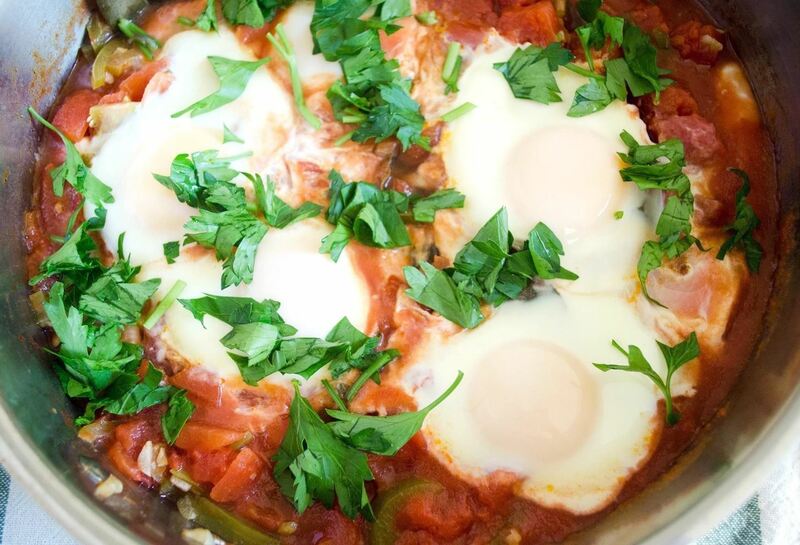 My all-time favorite recipe for shakshuka is featured on Smitten Kitchen. This dish consists of a spicy tomato sauce mixed with chili peppers, onion, and cumin—which makes sense, since shakshuka means "mixture" in Arabic. This one-pot meal is comprised of an aromatic sauce that is cooked down and topped with multiple eggs that then poach in the bubbling tomato liquid. The pan is covered and the dish cooks over low heat to allow the eggs to poach. Once the whites are cooked, the shakshuka is sprinkled generously with brightly flavored parsley. 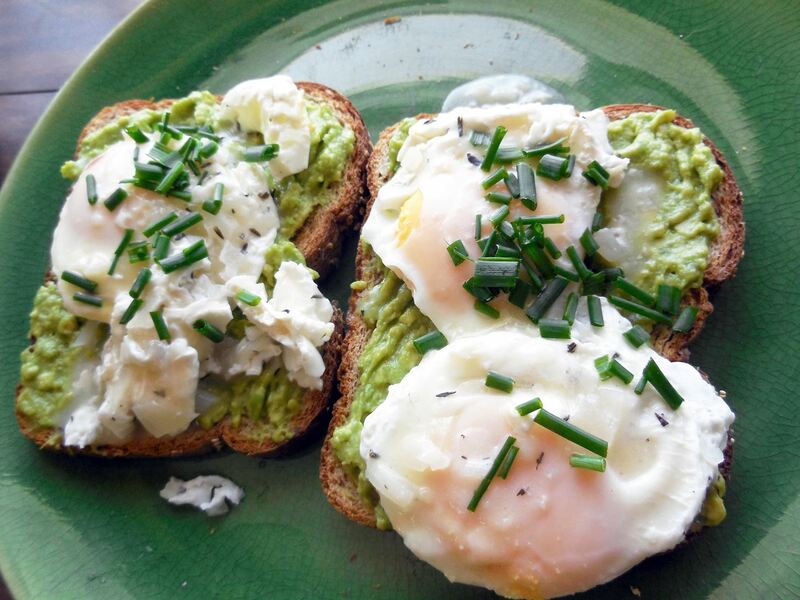 Get ready to enter poached egg nirvana. Lindsay of The Detour is the Path likes to poach her eggs in a mouthwatering mixture of dry white wine, shallots, and herbs. The eggs will absorb the light citrus notes of the wine and the earthy flavor of the aromatics. Additionally, the remaining poaching liquid can be reduced into a sauce and drizzled over the top of the poached egg for an additional flavor boost. I recommend enjoying this egg over a piece of avocado toast. It's mind-boggling how a dish so complex in flavor can be so easy to make. 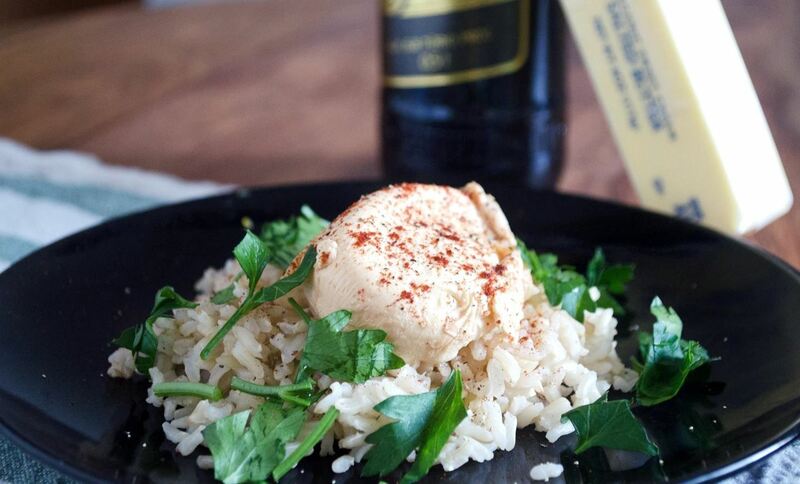 Beer poached eggs work best with dark and malty beers like a porter or stout. You can also try using a very strong ale. Food 52 came up with a poached egg recipe that combines beer with a little butter for a deep, mouth-coating flavor. Shockingly, their recipe uses a microwave to make these eggs—but since it saves time and trouble, I'm all for it! Beer and butter poached eggs are easy to prepare and make a delicious afternoon pick-me-up meal. You can also poach an egg in vegetable or bone broth. 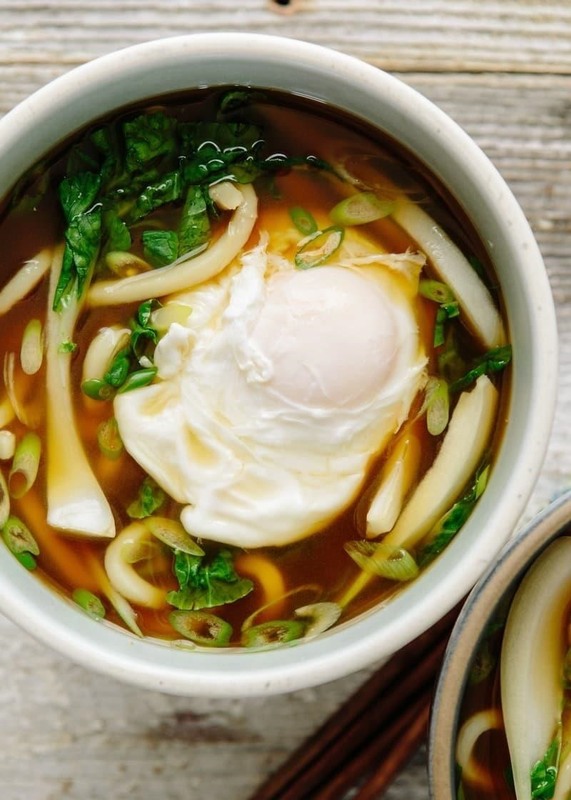 The egg will soak up all of the broth's unctuous flavor and leave you with a pleasantly salty and savory egg. Additionally, try cracking raw eggs straight into broth-based soups. Sweet Paul Mag featured a chicken soup with poached eggs, and it's groundbreaking. You won't have plain old chicken soup ever again! 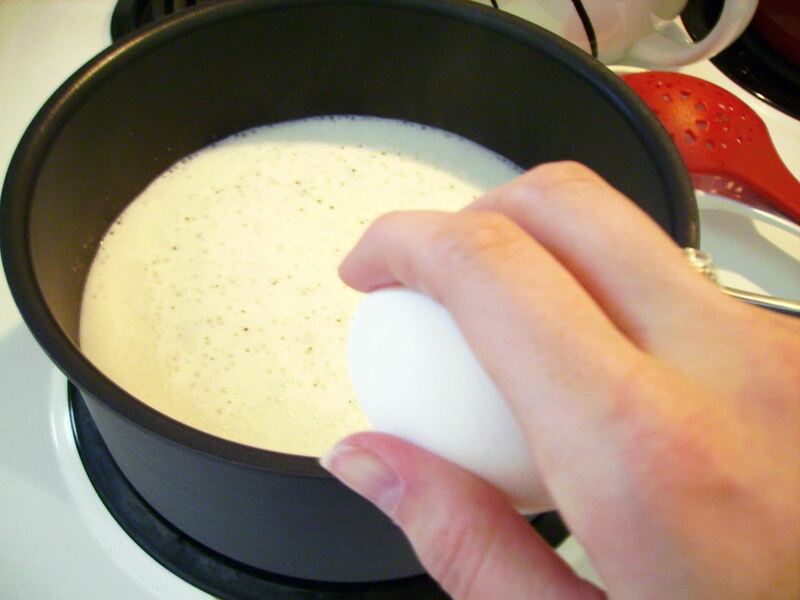 Using milk as your poaching liquid will inject sweetness and creaminess into your morning egg. Melissa from Smells Like Brownies has a step-by-step guide to making the perfect milk poached eggs. Just heat milk with a some salt and spices, cook an egg in it, and you've got yourself a full-flavored poached egg. I suggest trying milk poached eggs for eggs Benedict with a side of home fries. You won't be disappointed. All of these scrumptious eggs poached in flavor-packed liquids make a great addition to any meal—breakfast, lunch, or dinner. Serve them with a dash of paprika for breakfast, place them atop some crusty toast at lunch, or layer them on a juicy barbecued steak over a bed of rice for dinner. Once you try poaching eggs in sauces, soups, and other liquids, you will never crave a water poached egg again.